For those in the online retail space, columnist Julian Connors shares his advice for making your e-commerce website SEO-friendly. The world of e-commerce optimization is vast and complex, and it demands a particular level of attention in order to function and perform correctly. Over the last 10 years, I have had the opportunity to manage a variety of enterprise-level e-commerce websites that offer everything from athletic gear to office supplies. Regardless of the intended audience, most e-commerce sites suffer from similar optimization issues. These issues prevent them from maximizing their exposure to qualified traffic and the related revenue. Usually, these problems are connected to how business stakeholders approach the development of their e-commerce platform, placing user experience and aesthetics over search engine optimization (SEO). When brands focus on building e-commerce environments that are attractive and functional but ignore or forget about SEO, they immediately lose opportunities to attract and convert new customers from organic channels. The good news is that by adhering to the following e-commerce optimization recommendations, you can create an environment that is functional and attractive and introduces your brand to new potential customers (what we in the biz call a “win-win” situation). Most e-commerce brands are managed by internal specialists or merchants who are experts on their products. However, these individuals aren’t usually aware of what SEO is or how it works. Because of this, most people who are responsible for managing online inventories tend to exclude product descriptions, create shallow descriptions or pull descriptions directly from the manufacturer. Without product descriptions that are informative, engaging and unique, your products will be unable to rank well within premier organic search listings. Regardless of what products your brand offers, try to create 150- to 300-word descriptions that speak to your target audience’s search intentions, while also framing the products in environments where they are best suited. The description lists specific products related to the larger category of “office supplies,” which allows search engines to attribute authority to individual and top-level terms. It also speaks directly to the target audience, while placing them in specific environments. This format allows the description to align with the concept of semantic search and thus, supports the ability to align with more qualified organic consumers. Posting product reviews alongside each item your brand offers is an excellent way to inject relevant content into your product pages. Amazon does well at leveraging this particular tactic, as their more popular items can have tens of thousands of reviews that inform their customers and drive conversions. The demand for peer-to-peer education continues to rise, with 80 percent of online consumers giving product reviews just as much weight as personal recommendations offered by their friends. This dynamic makes it even more important to provide quality information that’s based on real consumer experiences, not marketing materials engineered by your brand. Product reviews are user-generated, which means they are free for you to leverage. Try to attract as many consumer reviews and testimonials as possible in order to demonstrate value and authority to search engines, while also driving more conversions from your customers. Your internal marketing team may love coming up with creative ways to label your products, but if your customers don’t understand those labels, their efforts become ineffective. Optimizing your products by name is critical for allowing search engines to understand what you have and who your products are made for. Do not optimize your products for secondary details such as SKUs, colors or sizes. Include brand names and model numbers in your title tags, meta descriptions, image alt tags and header tags. 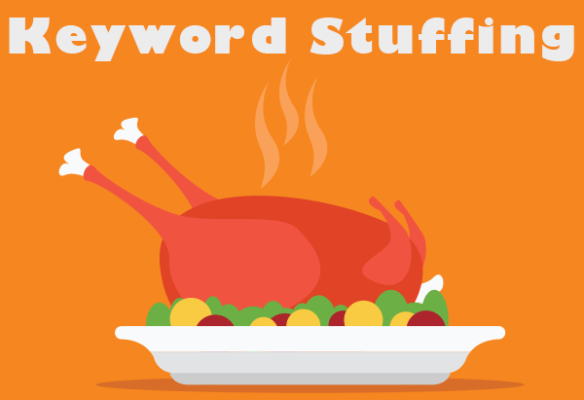 Cramming product descriptions with keywords instead of intelligent content will not help you attract more organic visitors or gain keyword authority. Instead of embedding your product’s name throughout your description, offer information that helps your customers and describes the value of your services. Doing so will improve user engagement, enhance organic authority and drive conversions. Considering how many images tend to appear within e-commerce sites, it’s important that each is accompanied by relevant alt text. In order for search engines to understand what each picture represents and how it ties into your brand, make sure that every image’s alt text clearly describes the image. Where appropriate, you may wish to include a key term that you’re trying to rank for (don’t overdo it! ), as well as your brand’s name. Title tags allow search engines to understand the content of specific landing pages. Avoid creating duplicate titles across your site by forgoing the use of manufacturer or vendor titles, as these are likely the same titles they have sent to your competitors. This concept is critical when it comes to eliminating duplicate content from your e-commerce site and maximizing the volume of unique pages and key terms your site can rank for. If users are able to select a variety of filters for one specific type of product, and these filters are not located within the HTML source code of your product pages, Google and other search engines won’t understand the difference between the filtered page and its parent category. Instead of including item numbers or category IDs in your URLs, try to use actual product and/or category names that are easily understood by your target audience. URLs that are built with users in mind help your online audience (and search engine crawlers) understand where they are within your site, as well as how they can continue working their way down the conversion funnel. For tips, check out this great infographic by John Lincoln and Brian Dean on SEO-friendly URL structure. Similar to product descriptions listed within individual product pages, your primary and subcategory pages should have enough content to be recognized by search engines as true authorities within the competitive space. includes information that resolves common questions your target audience asks when searching for or using your products. User engagement derived from social sharing has a direct influence on organic rankings, as well as the actual signals that are sent to search engines every time someone shares one of your pages. Make sure that all product pages contain social sharing icons that are easy to find and speak to the most popular platforms, e.g. Facebook, Twitter, LinkedIn, Google+ and Instagram. Every e-commerce site should have automated sitemaps that update as new products and/or pages are added to your site. This is the best way to ensure that all of your offerings are recognized by search engines and indexed for consumers to engage with. Most reputable e-commerce content management systems (CMS) offer automated sitemaps or provide some type of plugin that satisfies this demand. Manipulating and transferring products or categories throughout your site on a regular basis can create a significant amount of stress for search crawlers. That’s why it’s important to create an adaptive sitemap.xml that is capable of aligning with every change you make to your site. E-commerce sites that offer buyer guides or educational articles and create internal links that pass page authority from primary to subcategory environments are excellent ways to drive organic authority and conversions. Creating buyer guides that educate consumers on the value and benefits of your products supports keyword and concept authority and helps drive consumers down the conversion funnel. Linking from articles to specific product or category pages helps inform users about your services, while also transferring organic authority throughout your site. Proper redirect systems should all remain top-of-mind when trying to maximize e-commerce success. Based on how often you publish and/or take down products, you need a redirect process or system that automatically redirects outdated content to a relevant updated URL in order to avoid broken links. Redirect to a newer product model. Use 301 redirects when you’ve phased out an older version of a product and replaced it with a newer one — for example, if you no longer sell the iPhone 5, try redirecting that URL to the iPhone 7 page. Implementing 301 redirects will transfer users from old pages to new ones and signal to search engines what page you want to rank. Redirect to a primary category page. The purpose of this is to resolve consumer navigation problems or to retire outdated products and redirect users to the most relevant parent category. Reuse URLs to preserve organic equity. You can reuse existing or old URLs in cases where your brand sells generic products that are not dependent on technical details or model numbers. Doing this allows you to preserve and leverage the organic equity of an existing page, which supports your ability to rank well within search listings. Depending on how your site is coded, a page containing a large number of page elements (images, ads, scripts) can slow down your site’s load time. Use Google’s PageSpeed Insights tool in order to understand what specific issues exist and how you can minimize your site’s load time in order to improve user engagement and get ahead of your online competitors. Schema.org offers a library of structured data markup vocabulary that Google and other search engines use to offer online consumers more information around a particular subject (including brands and products). Create content that directly aligns with your target personas in order to maximize qualified traffic and conversions. Understand what types of issues or problems your consumers experience on a regular basis, and offer content that provides detailed answers on how they can overcome such objections or barriers. Next articleCloud Infrastructure Spending Is Increasing, but Is Cloud Adoption Jumping as Well? It’s a Quarter-past Cloud, Do You Know Where Your Data Is? Why Your Cloud Strategy Matters?